Waterproof 6000 mm/H2O. Hood with drawstring. Waterproof zippers. One chest pocket with zip. Two outside pockets with zip. Adjustable cuffs with Velcro. Drawstring at the bottom. 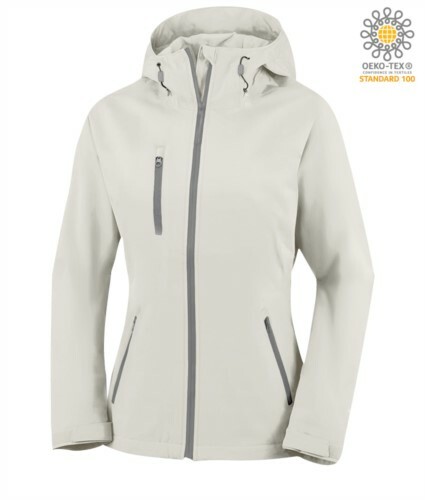 Dear friend, I suggest you this article: SOFT SHELL 2-LAYERS JACKET FOR WOMAN; You can find it on the web at: https://www.castbolzonella.it/scheda.asp?content=.